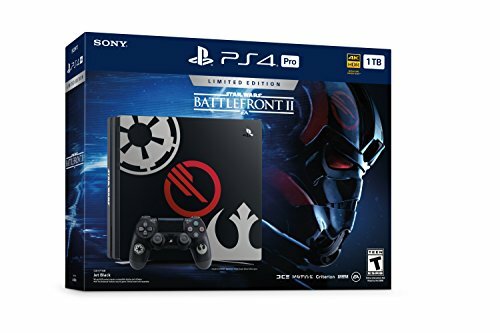 This Limited Edition Star Wars Battlefront ll PS4 Pro bundle will immerse you in epic Star Wars battles. 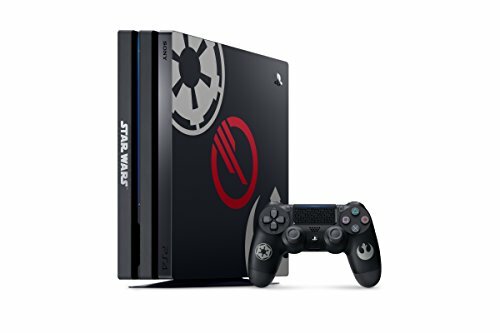 Featuring a fully customized Jet Black PS4 Pro and DUALSHOCK 4 Wireless Controller inspired by the game, and Star Wars Battlefront II: Elite Trooper Deluxe Edition. Experience Dynamic 4K Gaming and 4K entertainment with PS4 Pro. 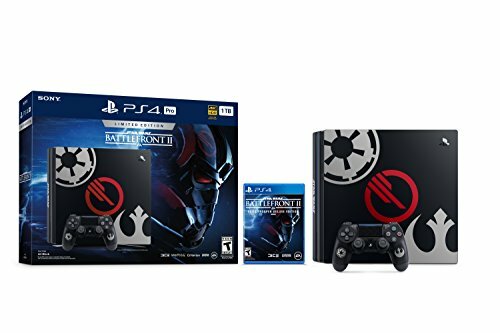 Limited Edition Star Wars Battlefront II PS4 Pro Bundle. 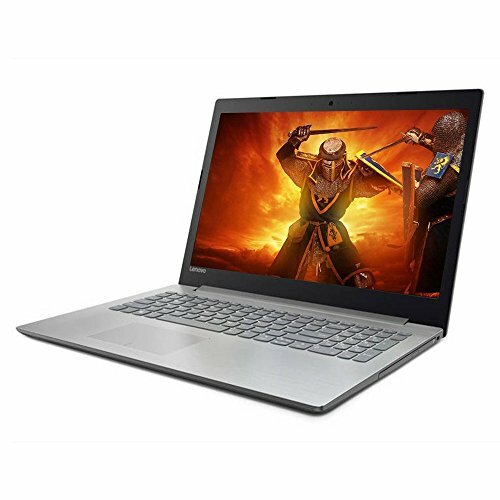 This bundle will vault you into the greatest intergalactic battles in the Star Wars universe. 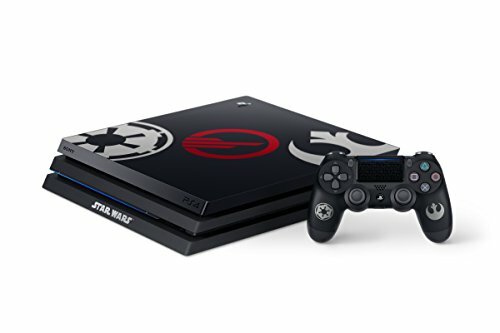 Featuring a customized Jet Black 1TB PS4 Pro and a matching DUALSHOCK 4 wireless controller, there’s no better place to be a hero and dominate the galaxy. Crush the Rebel Alliance, or fight for freedom from the Empire. Dismantle the Resistance, or protect it from the First Order. The choice is yours in an all-new playground of intense galactic struggle. From epic ground assaults to stunning vehicle play and heart-pounding aerial dogfights, dominate every game mode in battles that span across all eras of the Star Wars universe. 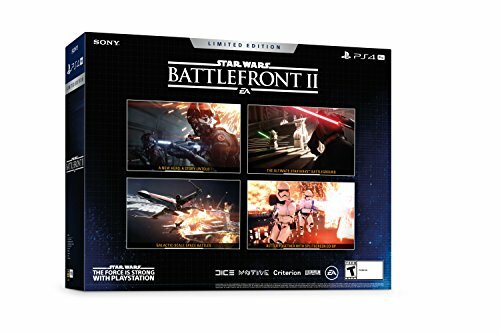 The Force Is Strong With PlayStation. 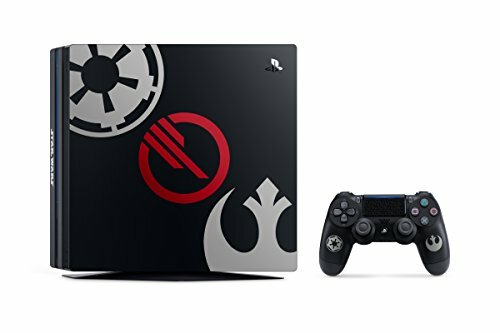 LEGAL: PlayStation and the “PS” Family logo are registered trademarks of Sony Interactive Entertainment Inc. STAR WARS & TM 2017 Lucas film Ltd. All rights reserved. 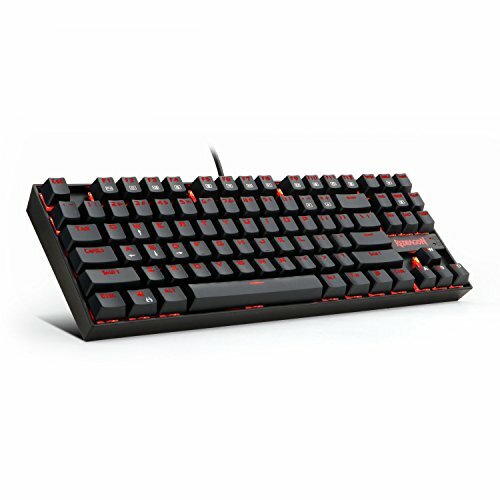 Game code and certain audio and/or visual material 2017 Electronic Arts Inc. EA, the EA logo, the DICE logo, Motive, the Motive logo, Criterion, and the Criterion logo are trademarks of Electronic Arts Inc.